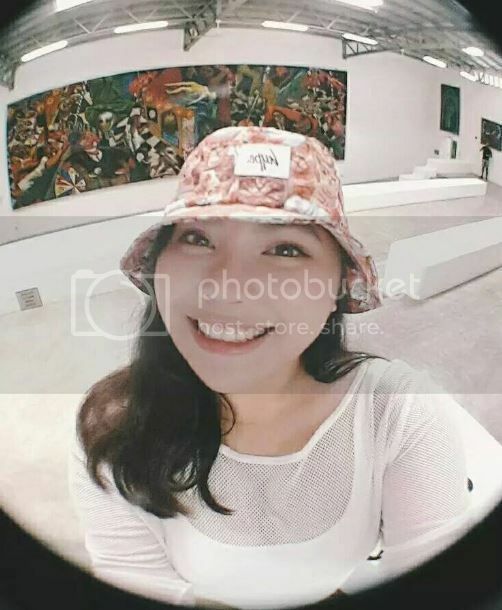 When it comes to K-pop, I may have a strong passion for fangirling when it comes to boy groups ( No seriously, my love for Korean boy groups deserves a different post because I cannot for the love of Korea put it here as I’m about to discuss my love for one particular girl group). But when it comes to girl groups, I have to say my favorite is Miss A. I have followed them since their debut with Bad Girl, Good Girl and I fell in love with Fei because to me she has the most goddess potential at that time. But my love for them grew when they came out with Breathe and since then, I have pledged my loyalty to my first K-pop girl group fandom. 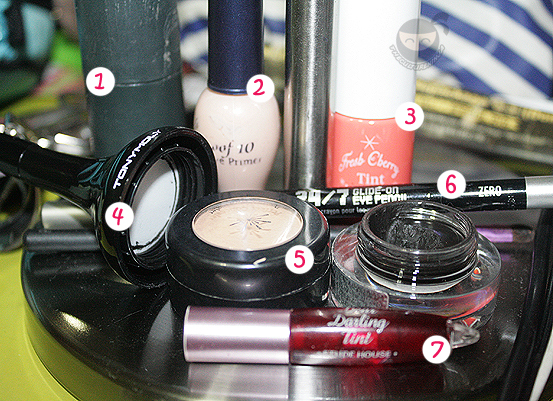 For today’s look I have decided to do Bae Suzy’s makeup in their latest single Goodbye Baby. 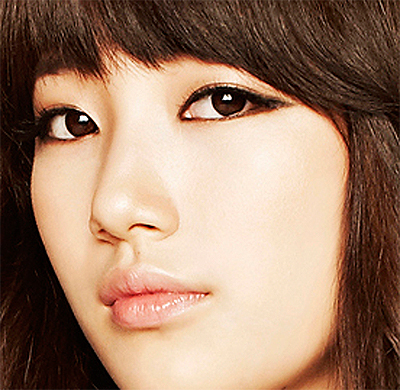 What I like about Miss A’s makeup here is that they don’t have a ton of makeup as opposed to other girl groups. Basically they focus on bold eyeliner and that’s it. No shimmer and no dark lipsticks. It looks as if the rest of the face is bare but they have a strong eyeliner look that complements each of the girls’ eye shapes. Click below to find out how to do this look! Min, Jia, Fei, And Suzy. Notice the different styles of eyeliner application used on them. Out of all the four’s eye makeup, I decided to do Suzy’s because it is the most uncommon style of eye makeup compared to the other three. 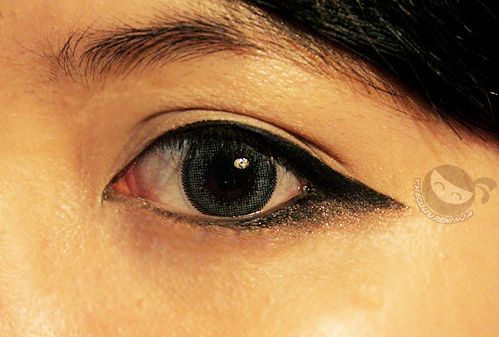 Min, Fei, and Jia’s eye makeup is basically winging out a thick eyeliner. It’s that simple. But Suzy’s eye makeup needs a bit more technique as hers is a tad bit different. To do Suzy’s eye makeup, all you have to do is to line your upper lashline with the black gel liner following the natural shape of your eyes. You don’t flick it up to do a cat eye, but you just naturally follow the line. It should extend a bit outside. After doing that, you line your lower waterline and I suggest you do a tight line as well with the black eye pencil. With that, you are going to take the dark brown eyeshadow and you apply it below the extended line that you made with your upper lashline shading it to fill in the gaps and connect it to your lower lashline. The point is to create a different eyeshape since Suzy has those smiling eyes, creating a different eyeshape for her using eyeshadow and eyeliner will make her eyes look stronger. Curl your lashes and apply mascara as usual and you’ve got the eye look down! For the rest of the face, everything will be very minimal. I put on foundation mixed with my moisturizer all over my face and applied concealer sparingly to hide imperfections. I just applied some berry cheek tint to my cheeks for a bit of color. 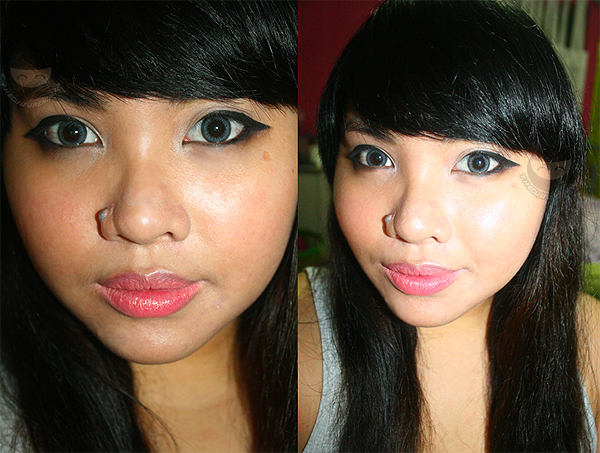 For the lips I used a peach lip tint instead of a berry lip tint to make it more subtle. I hope you have fun doing Suzy’s look! If you want me to do other k-pop looks, let me know!